The European Parliament approved on Wednesday a resolution calling for sanctions against Hungary over rule-of-law concerns, in a move unprecedented in the European Union’s history. The resolution was adopted by 393 votes to 221 with 64 abstentions. Some members of the European People’s Party — home to Hungary’s ruling Fidesz party — voted in favor. The resolution calls for the launching of Article 7(1) of the European Union Treaty. Under Article 7, a country can lose its voting rights in the European Council. The Committee on Civil Liberties, Justice and Home Affairs will now draw up a formal resolution for a plenary vote. The resolution also calls on Hungary to repeal laws tightening rules against asylum-seekers and NGOs, and to reach an agreement with the US authorities regarding Budapest’s Central European University. Moreover, the resolution asks the European Commission to strictly monitor the use of EU funds by the Hungarian government. The resolution’s passage, however, does not automatically mean Article 7 will be implemented. The suspension of voting rights and full implementation of Article 7 can only take place after a unanimous vote of the European Council, which is made up of European Union governments. 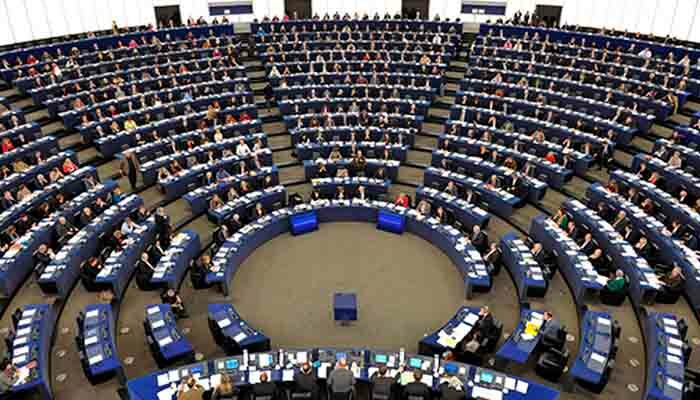 The European Parliament’s vote is nevertheless a significant step toward sanctions, and a symbolic shift, marking the first time the body has formally called for any member state to face Article 7 sanctions. “For the @EPPGroup it is clear: European fundamental values like academic freedom are non-negotiable. #Hungary,” European People’s Party leader Manfred Weber tweeted ahead of the vote. While Weber himself has taken a conciliatory position toward Orbán, he was unable to ignore the growing criticism of Fidesz within the EPP’s ranks. “We don’t exclude resorting to Article 7 but the procedure should be serious & the HU govt should be given the chance to react. #Hungary,” he added. Proponents of democratic values within the EU greeted the move. “After 7 years of systematic breaches of our values in #Hungary, the activation of #Article7 is the only solution,” tweeted Member of the European Parliament Viviane Reding. A spokesman for the Hungarian government did not respond to the Budapest Beacon’s request for a comment.